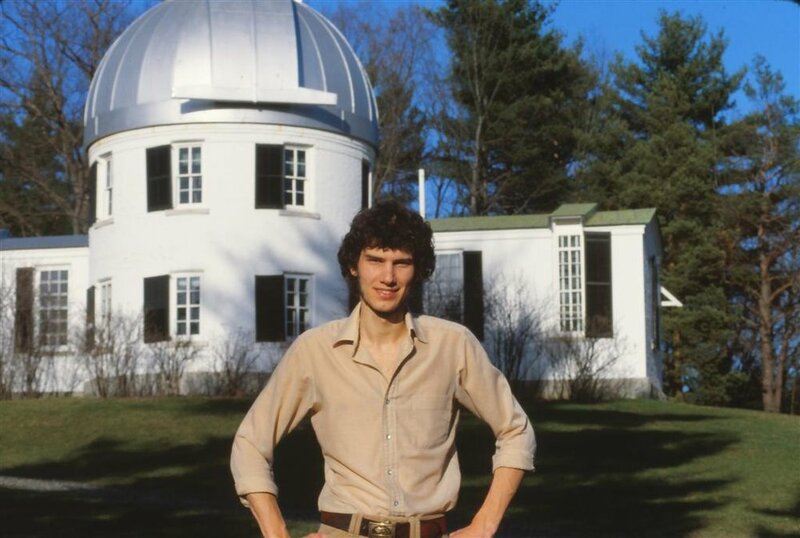 ExtraTech founder, James Fillmore, at the Shattuck Observatory as a graduate student in astronomy. Founder James Fillmore’s computing career began when he was a post-grad in astronomy as he experimented with microprocessors in the early 1980’s. When he saw that the McGraw Telescope operators had bugs with their CCD capture technology, James rolled up his sleeves to fix them. In the process, he learned an obscure coding language, named “Forth,” that would later become an advantage to landing a client and start a flourishing business. In 1986, James left academia to work full time at Fillmore Systems, Inc. in Minneapolis, MN - which would later become, ExtraTech Systems. He landed a large contract helping a local tool-and-die company go “lights-out” (using full automation) with a network of automated EDM machines. Additionally, with a year and a half long consulting project with Seagate Technology, James was able to reinvest in the company to build motion control and automation products. Along the way of developing their first product: SBC188, an Intel 80188 based single board computer, James had been rewriting Forth from scratch in C, which he named Utopia Forth. This came in handy when Marine Computer Systems needed to cut their boat sails with splines rather than simple arcs or lines. Their partner, Laser Machining, Inc., reached out to James as he had not only built in advanced capabilities into Forth Utopia, but also, had no problems programming splines since his post-grad research dealt with complicated galactic simulations. The next product was the MOVER-PC6, which supports 6-axis motion and was an early bestseller, attracting several OEM customers. The MOVER-PC6 attracted the attention of Ken Koelling with then Berger-Lahr Corporation, who helped sell the product into a 5-axis Waterjet R&D project cutting human-consumable tuna. Ken later went on to form Machine Automation Technologies and then MultiCam, and became a large seller of Router, Plasma, Laser, and Waterjet based CNC machine tools. MultiCam has since become ExtraTech's largest customer. By 1990, FSI had several sustaining customers across the country so James decided to move the company to Post Falls, Idaho, where he could enjoy the lakes and mountains year round. Three employees made the move from Minneapolis to Post Falls and the company started operating January 1991 as (DBA) ExtraTech Corporation. With microprocessor and FPGA technology developing rapidly, and ExtraTech carving out a niche in the motion control space, ExtraTech continued active development of a series of motion control solutions. 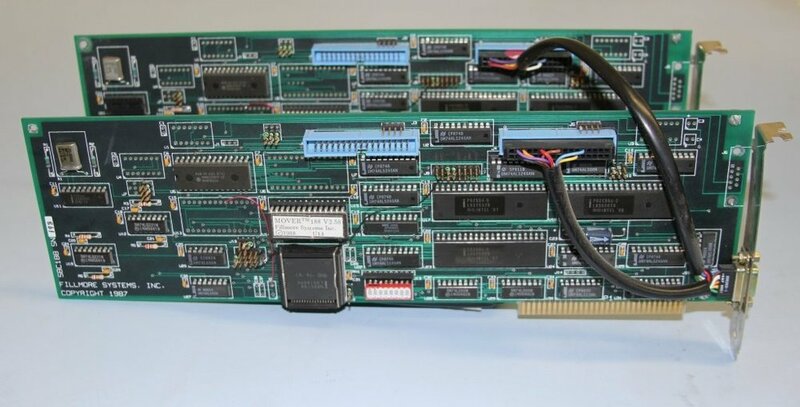 While retaining a brain-board and interface board topology, a series of boards were developed to increase the speed of calculations and related features. All of the early systems were running μCito (James' own operating system), which was a derivative of the early Utopia Forth systems. The RPC353 was the first product running μCito on top of Linux. James and ExtraTech focused on developing new hardware and software features for its existing customers rather than selling generic motion control systems to a wide consumer base. The company grew to a staff of over 20, which included Barbara Fillmore who provided Employee Relations for many years and help reorganize the front office. Many of ExtraTech’s employees dedicated years of service towards ExtraTech’s efforts to deliver leading-edge products in a casual and supportive work environment. Tony McGrew, General Manager as of 2018. In January 2015, James and his wife Barbara sold the company to CNC Holdings. James continued to work at ExtraTech Systems for three years and provided coding, training, and guidance for the company. Tony McGrew, who led MultiCam’s Engineering team, took on the mantle of General Manager in 2018 after James announced his retirement.